Ever since I was little, I have been known for my affinity to over-packing. I fully recognize I have an irrational fear of regretting not bringing something I may ‘need’. When I arrive at the airport and find out my suitcase weighs 48.5lbs, my first thought is – I could have loaded more! There have been countless occasions where I’m pulling the heavy things out of my bag – running shoes, hair dryers, etc. – and now stuffing them into my carry-on to come in under-weight. So the thought of packing for my little man the first time was quite terrifying! 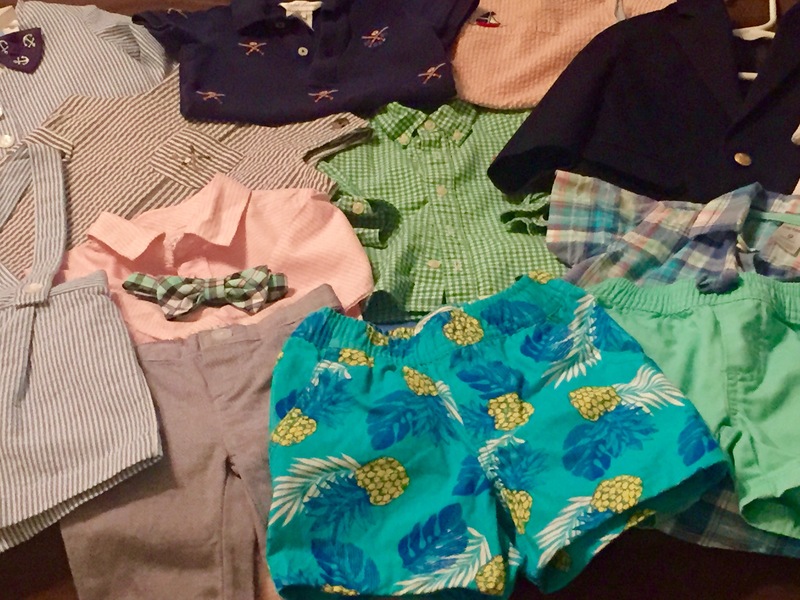 After all, he has so many necessities for eating, sleeping, playing I would need to pack – and that’s before I step into his closet and start selecting his adorable outfits. However, over our past few trips I think I’ve mastered this process into one that is now effortless. With my tips below, I hope you will no longer need a vacation just from preparing for your vacation! I like to do a full load of laundry a few days before we depart and pull everything I think we’re going to want to pack. The last thing I want to be doing is washing a load of laundry at 11PM the night before we leave because something we needed is now dirty again. I also find doing a little bit of packing each day takes the stress out of the activity. #2 – Buy diapers & formula when you arrive. This will keep all of your little one’s little pieces together. And, you can spend your vacation enjoying yourself instead of hunting for a teeny-tiny sock. You already need your car seat, base, stroller, is a pack & play one more bulky thing you want to keep up with? Not me! #5 – Follow a checklist! 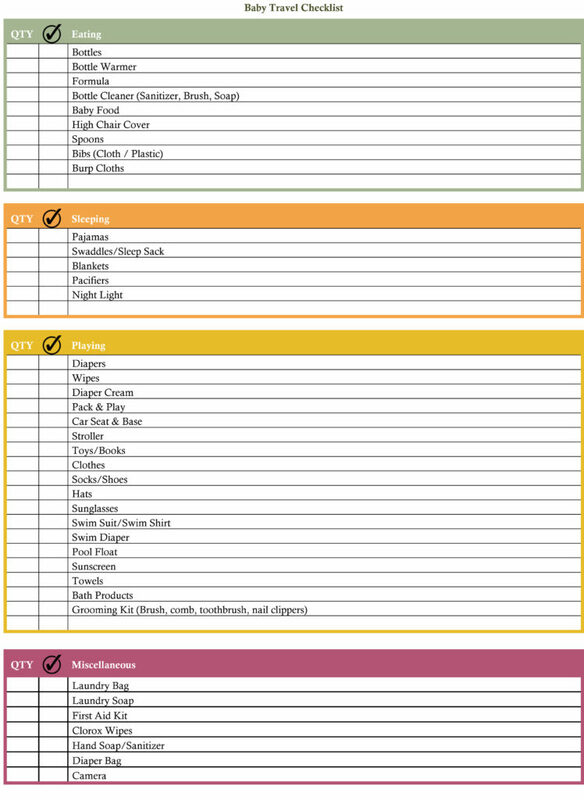 Better yet, pack using my free printable checklist below. This will ensure you do not forget any of the essentials, but also cover all of your bases for a myriad situations. I’ve used this myself for all of our trips, tweeking each time, and believe it’s just about perfected!